Win Cubby’s Boost!! Contest Time! « Big Squid RC – RC Car and Truck News, Reviews, Videos, and More! Hopefully the 100th comment is creative. 🙂 Good luck! Now what are you waiting for? Get over to our Facebook Page and leave a comment!!! UPDATE: We have a winner!! 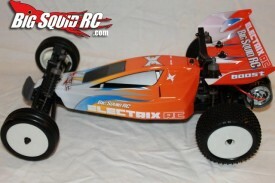 Congrats to Chris Dennis with the comment “The BSRC crew rules!” Thanks Chris!!! Thanks to everyone who entered the contest! Hope that was a fun one.. we always try to be different around here… and that one sure was exciting!! LOL. Watch for another contest coming in the near future!